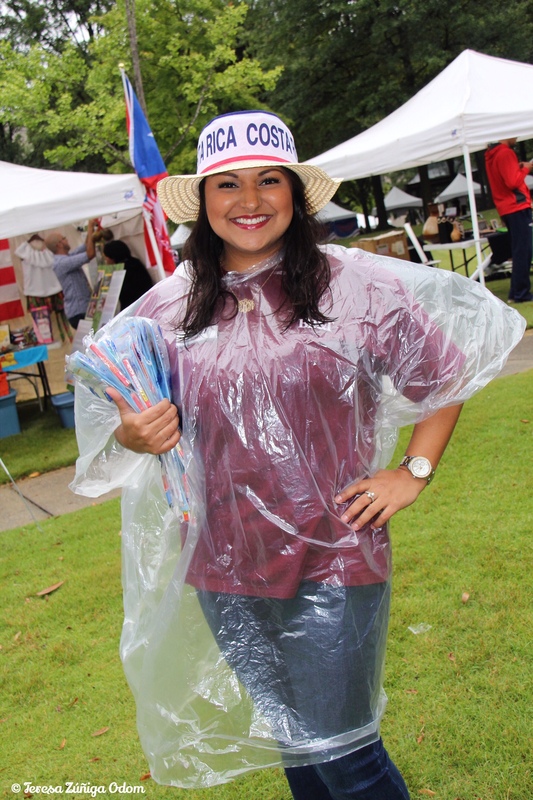 Title Sponsor McDonalds brought the Fiesta Tour to Linn Park in 2014! 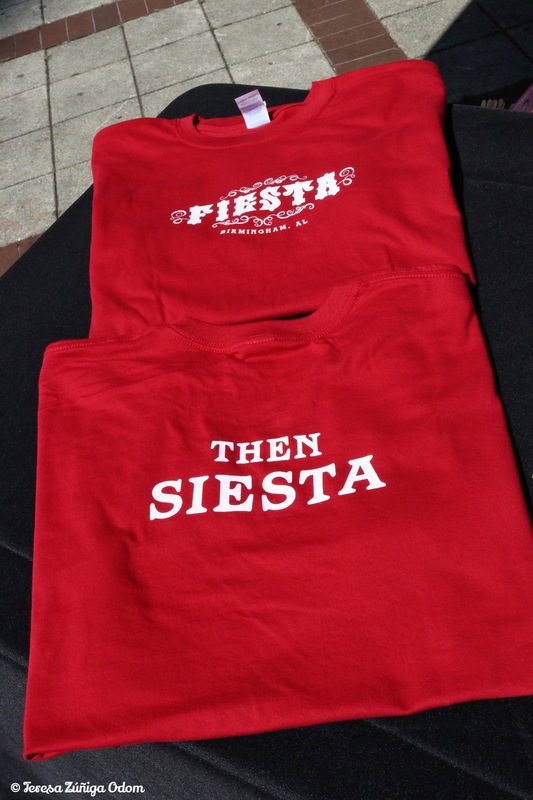 Fiesta 2014 brought us a series of “firsts” to our event. One of the biggest was getting our “first” Title Sponsor. Our top-level of sponsorship had always been “Presenting” and we had toyed with the idea of having a Title Sponsor. The conversation ignited when Santiago Negre, Hispanic owner of numerous area McDonalds arrived in town. He is the type of person who gets involved in the community and found Fiesta a way to do just that. 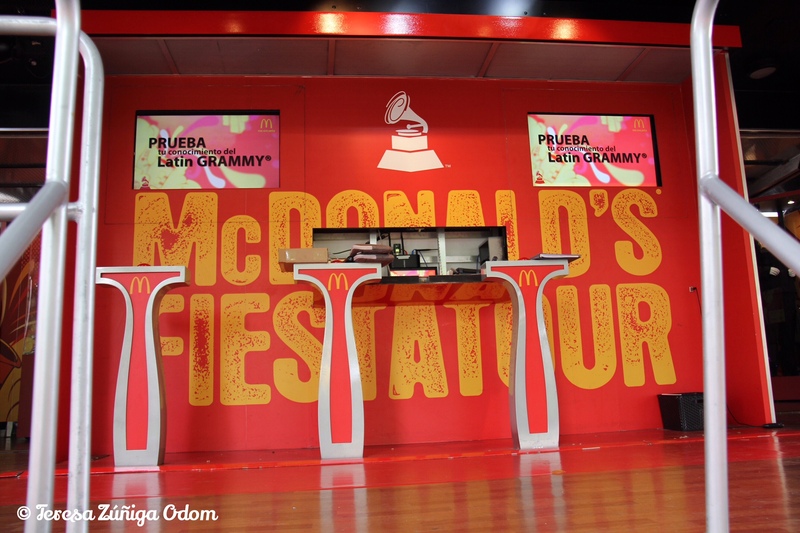 McDonalds had always been a Presenting Sponsor but this was the year we asked and he said “yes” to Title Sponsorship! 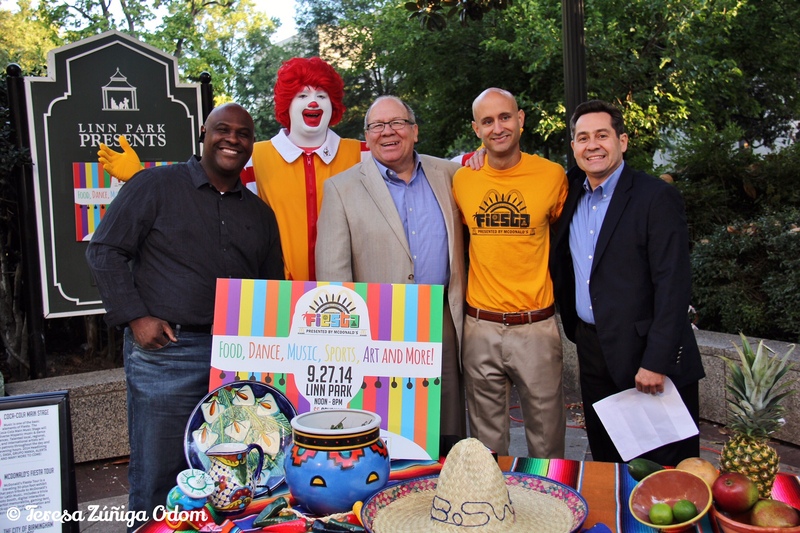 Jeh Jeh Pruitt of WBRC poses with Ronald McDonald, Santiago Negre, Fiesta President, Matt Ennis and Russell Negre before on air interview. McDonalds owner, Santiago Negre is interviewed by WBRC’s Jeh Jeh Pruitt a few days before Fiesta 2014. Home Depot discussed craft items in store for kids at the Family Village. Nicky and Vincent Koch help with the demonstration! We were thrilled, to say the least! 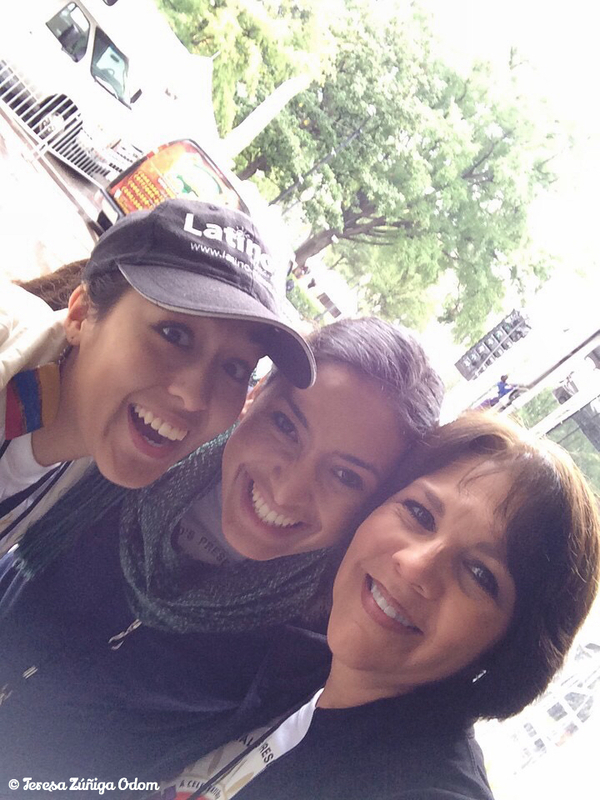 And in addition to taking the Title Sponsorship, Santiago also arranged to have the Fiesta Tour come to Birmingham. This was a tremendous coup for us as this tour typically only presents in the largest markets like Chicago, Los Angeles, and the like. 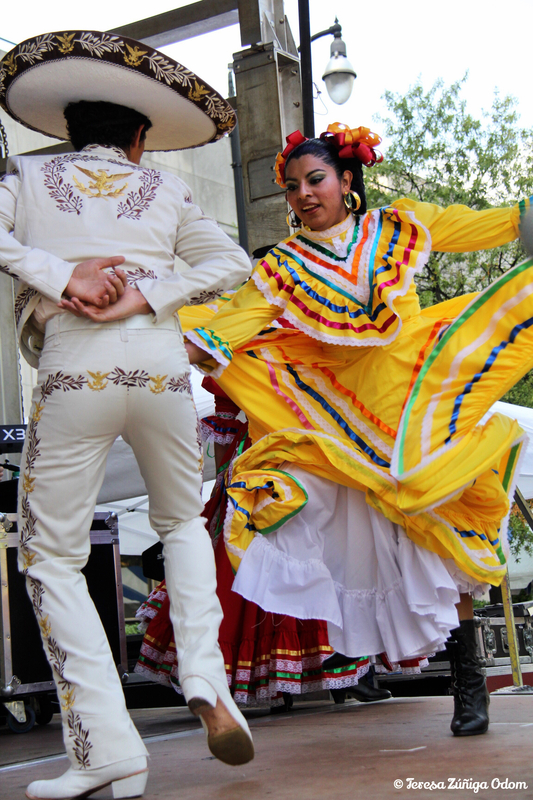 The Fiesta tour – appropriately named (in our humble opinion) – is like a Latin Grammy Experience! It’s a 50 foot trailer exhibit with a walk through display of unique artifacts and memorabilia loaned by Latin musicians. You get to see items belonging to such artists as Jennifer Lopez, Celia Cruz, Jose Feliciano and Marc Anthony. It also features a live DJ, music kiosk and kiddie area with a photo center. 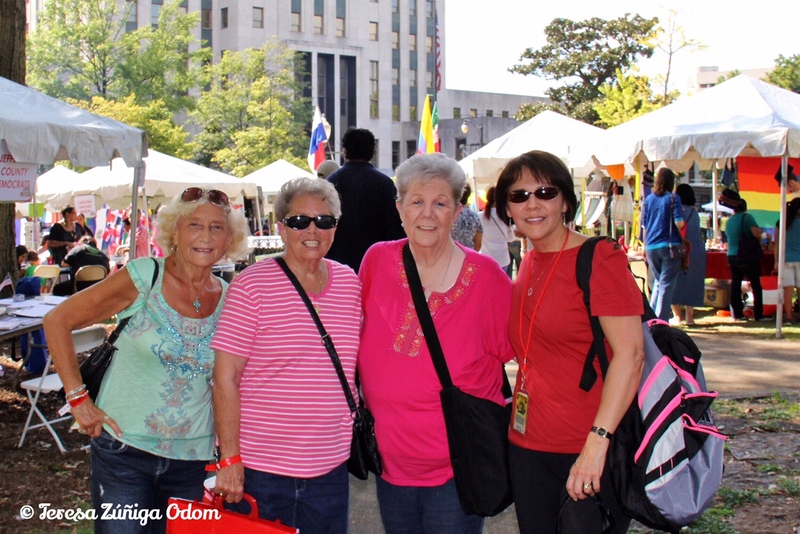 The Fiesta tour was set up right at the entrance so attendees bought their ticket to the festival and could walk directly through the exhibit. It was such an exciting addition to Fiesta that year! Another “first” was having a parade of flags, along with the flag ceremony and the Pledge of Allegiance at the event and this was thanks to the Girl Scouts of North Central Alabama. Marisela Mendez is a powerhouse of a woman (now retired) who was a huge force in engaging Hispanic girls and their families into scouting in our state. 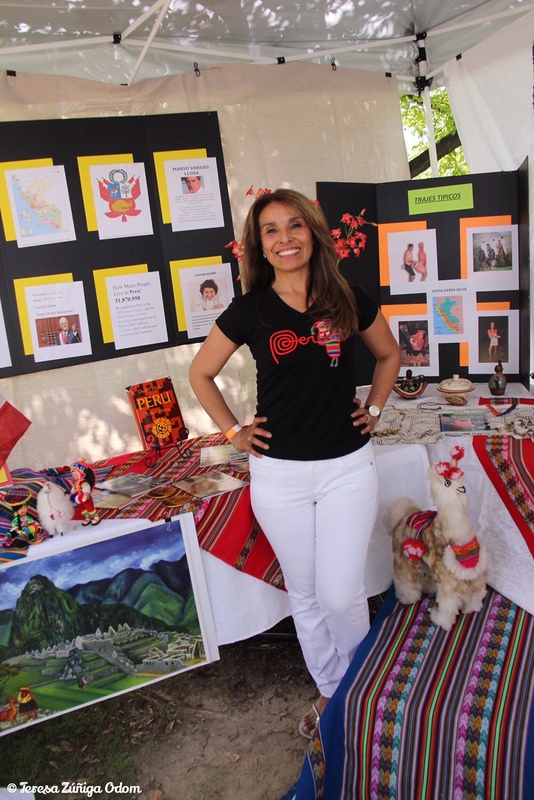 She arranged to have girl scouts from around the region attend Fiesta and dress in traditional costumes to carry the flags of Latino countries. She also had a group experienced in the presentation of the colors on hand, and in uniform to lead the event in the Pledge of Allegiance from the main stage. It was such a beautiful and colorful sight that year! The girls were gorgeous in their dresses and throughout the day I would see them around the park with their families enjoying the day. 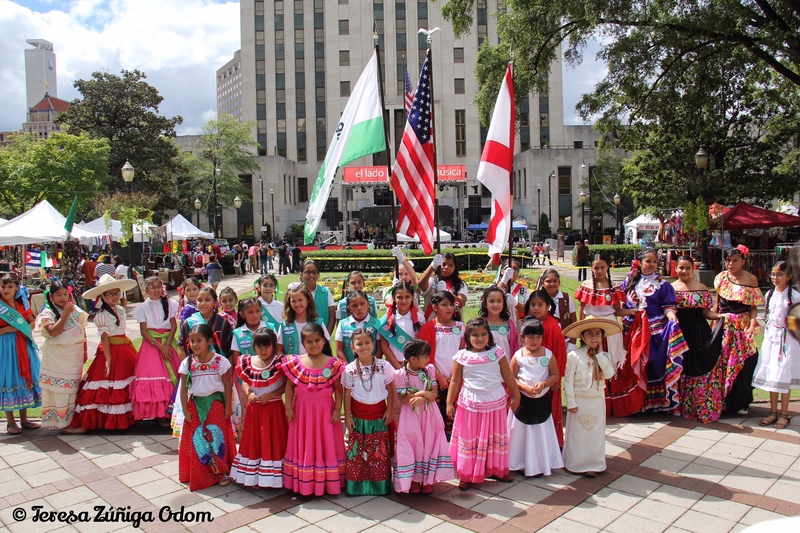 Photo of all the Hispanic Girl Scouts who participated in the 2014 Fiesta event in costume and Girl Scout uniforms. Photo Opp for me with these precious girls! At one point, I was next to the Coca Cola Main Stage with my daughter, Anna Marie, when we saw one of the girls twirling to the music. Her pink dress was floating as she twirled and she was clearly in her own little world with the music. Anna Marie and I began taking pictures of her when one of her friends saw us and decided to twirl with her. It was such a sweet moment and I’m so glad we caught it. 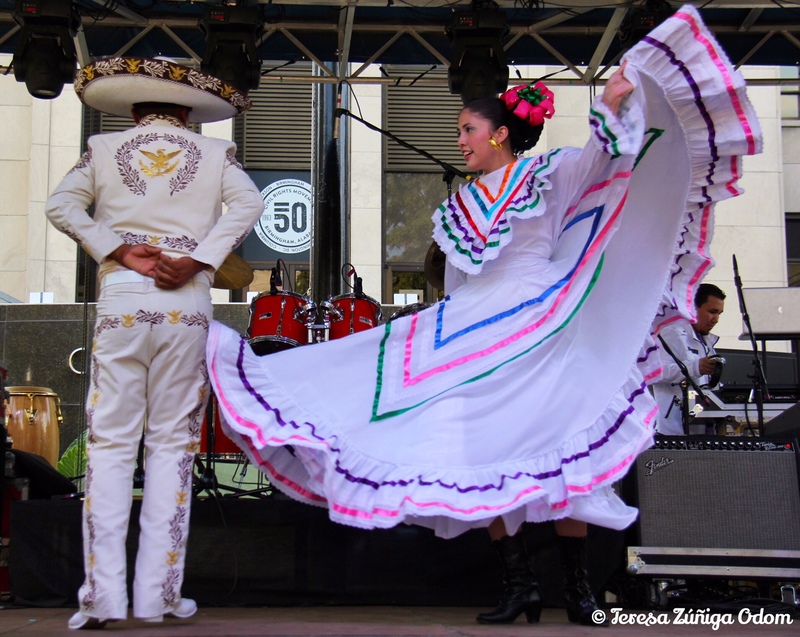 The Twirling Girl in her pink dress…I simply love this photo from Fiesta 2014 and the pure joy of this photo! Two twirling girls…they clearly loved the way their dresses swirled in doing this to the music from the Coca cola Main Stage. This was also the year we were able to grant a wish to a young Hispanic girl who was seriously ill and in Children’s Hospital of Alabama. 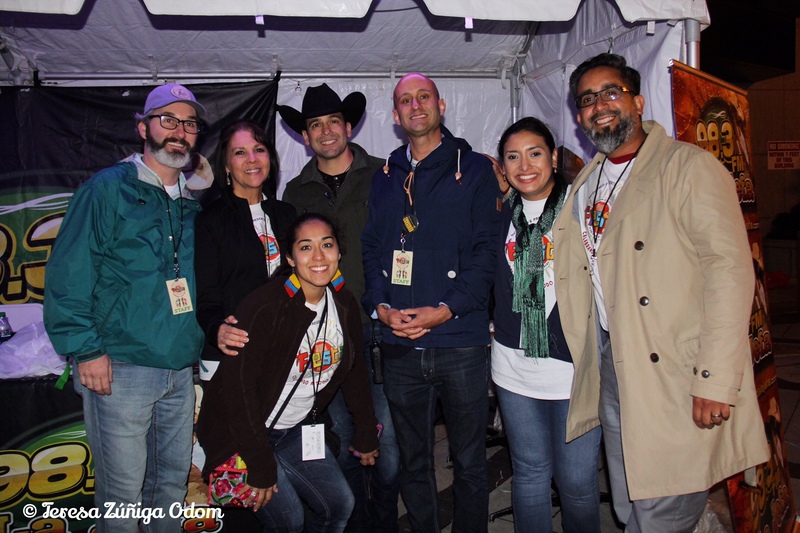 She wanted to meet her favorite musical artist – El Dasa – and we arranged to make that happen with the help of Amado Santos, Patient Relations and Language Services Director. El Dasa was so gracious too. Jasmine – the young girl – was taken by wheelchair to his personal tour bus and along with her parents and brother, were able to meet him and have a short visit. The sweetest moment came when Jazmine gave him a drawing she made. It was of a pair of cowboy boots and a hat, similar to what he wears for his performances. He was so sweet to her, asking her about the drawing and other things that she enjoyed. He was truly interested in her and wanted to make this a good experience…that was clear. A local news station came out to cover the meeting and at the end, El Dasa posed for pictures with the family and the drawing before heading to the stage for his performance. I enjoyed being a “fly on the wall,” as they say and being able to witness this special meeting. Jazmine is wheeled to El Dasa’s trailer by her father and followed by her mother. Amado Santos from Children’s Hospital is behing her and helped arranged for this meeting. Jasmine smiles broafley as El Dasa speaks to he. El Dasa give a lively performance on stage! More to come so please come back next Friday to hear about Fiesta 2015! This entry was posted in Fiesta, Girl Scouts, Linn Park, McDonalds, Photography and tagged Canon Photography, Childrens of Alabama, Denise Koch Events, El Dasa, Fiesta Fridays, Girl Scouts of North Central Alabama, Jeh Jeh Pruitt, Matt Ennis, McDonald's Fiesta Tour, Russell Negre, Santiago Negre, WBRC 6 News on September 15, 2017 by Southern Señora. 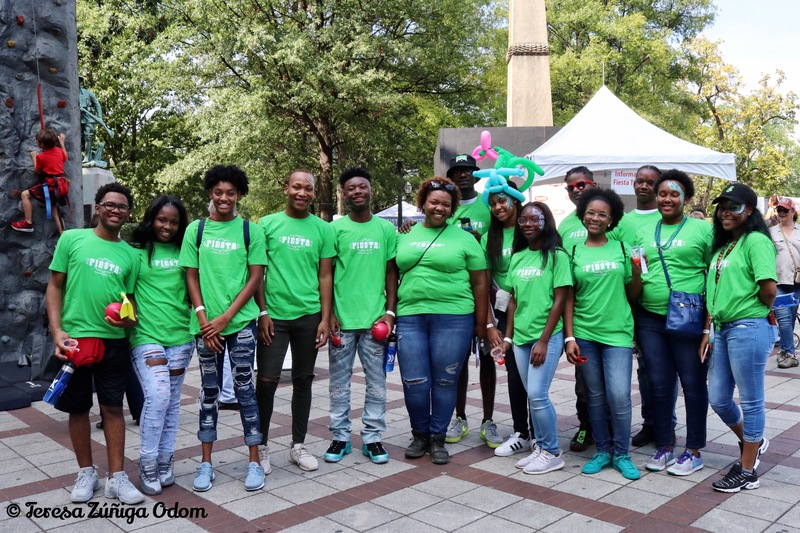 Such a perfect picture of Fiesta to me….the weather was beautiful and the families came out to enjoy a day in Birmingham’s Linn Park! 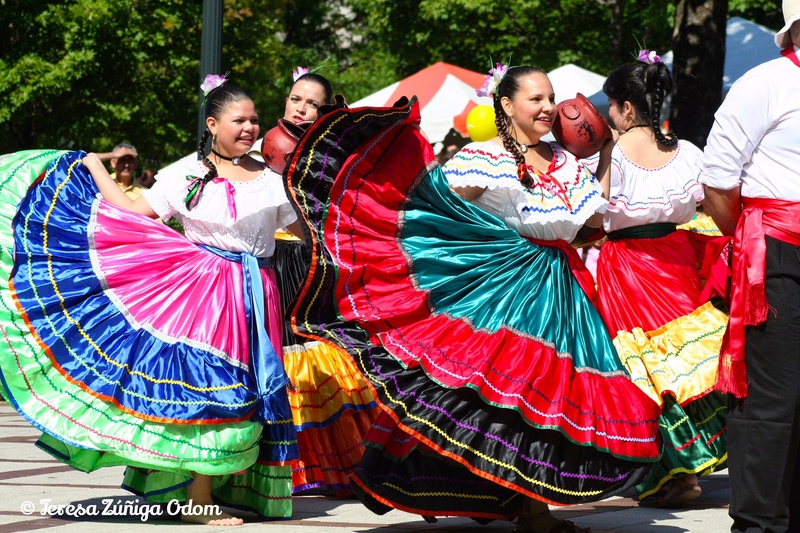 Fiesta 2013 took place on a beautiful and sunny day. The weather was perfect! 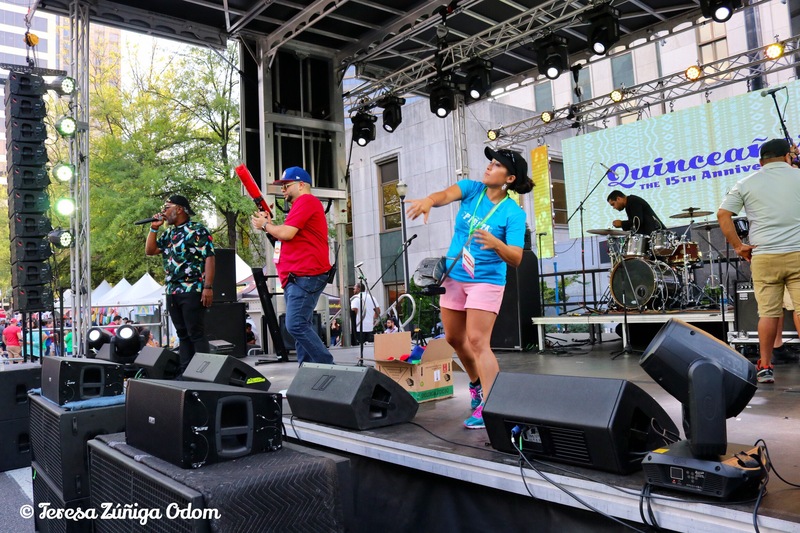 When the sun is out there is always so much energy throughout the day…from the moment we arrive to set up until the last act finishes up on the mainstage…it was a great day for Fiesta! 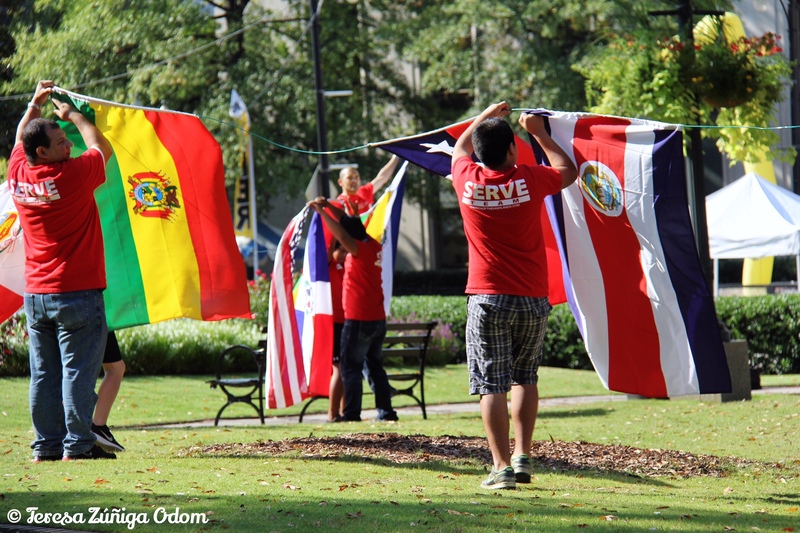 The Birmingham Pledge station late in the afternoon – one side had the Birmingham pledge in English and the other in Spanish. This was the year of the Birmingham Pledge. The Pledge has become such a big part of the fabric of Birmingham in recent years. Written in 1997 by Birmingham Attorney James E. Rotch, it is a statement of principles at the heart of a grassroots effort to eliminate racism and prejudice in the world. It was first introduced publicly at the 1998 MLK Unity Breakfast in Birmingham. Since then, over 150,000 people have signed the pledge online and it continues to be a source for unity through conferences and study circles. 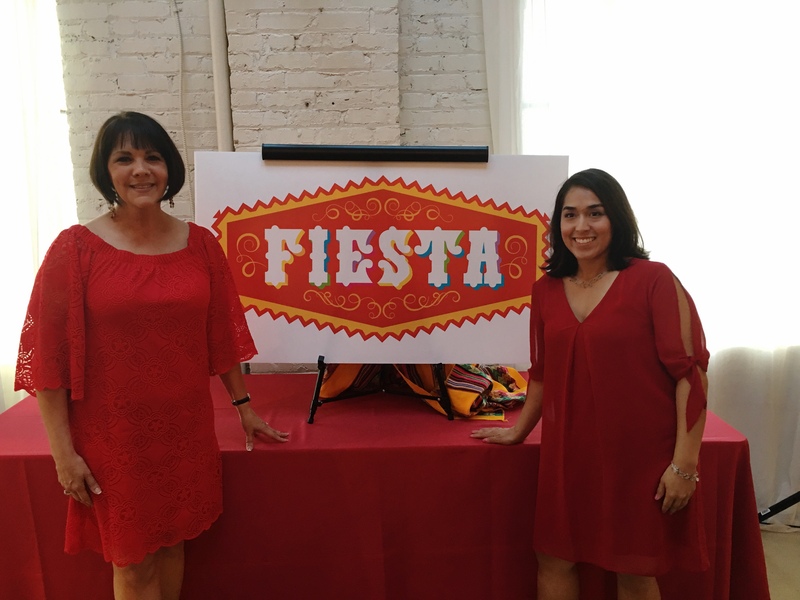 The Fiesta board felt our event was the perfect place to have a display. We contacted Wade Black, the Executive Director of the Birmingham Pledge Foundation and told him what we wanted to do and he was so excited about the visual we were creating! I was happy that Wade was happy. He was an educator and filmmaker and such a huge part of all things related to social justice in our city for so long. Sadly he passed away in February 2014. I am forever grateful that we included the pledge at Fiesta while Wade was still with us. We had a two-sided large stand-up display created of the Birmingham Pledge. One side was in English and the other in Spanish. Home Depot helped with the managing of the display. 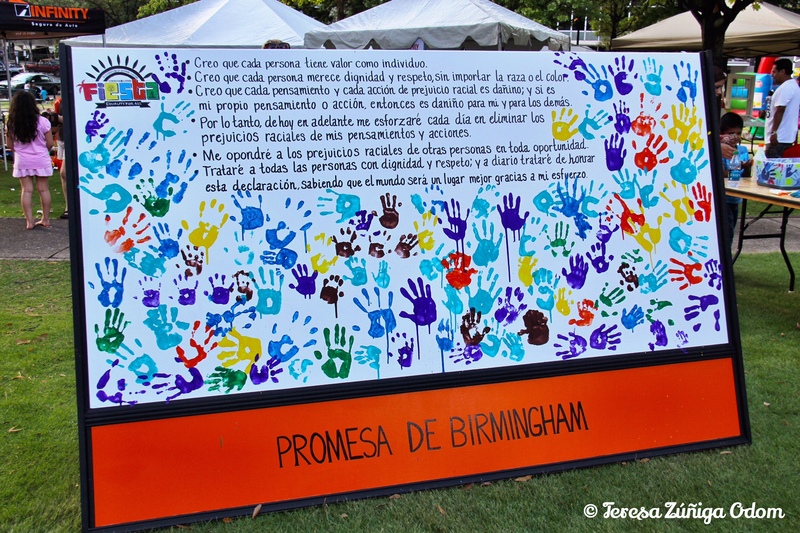 Fiesta patrons were invited to place a hand print on the display throughout the day. It was such a beautiful site! I stopped taking pictures long enough to put my hand print on the display. Fiesta board member, Matt Ennis, and I happened to be at the display at the same time and my husband took my camera and captured us inking up and strategically placing our hands on the white canvas. I was so happy to do this with another board member… Later that day, I returned to the display to see it covered with hand prints and see my friend and photographer, Larry O. Gay, capture a Hispanic mother placing her baby’s footprint on the canvas. He always gets the best shots! We are fortunate to always have the beautiful fountain at Linn Park on display at Fiesta. 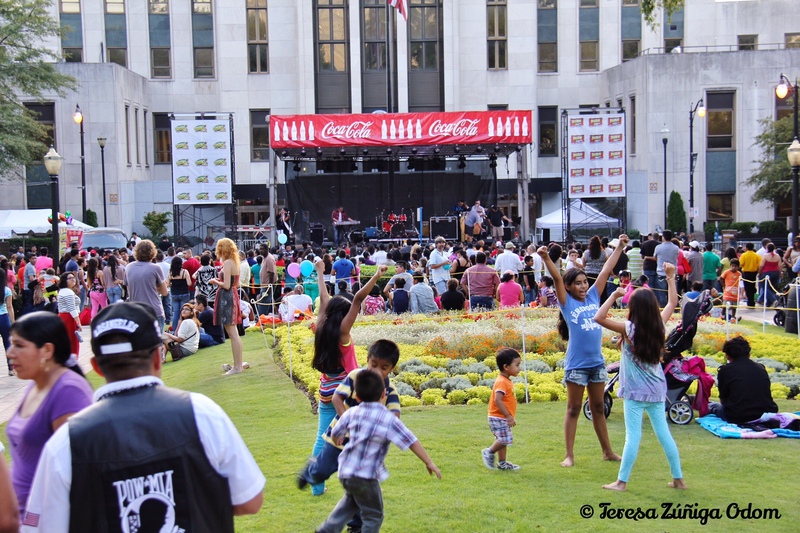 We place the presenting and patron sponsors around the fountain and there is always a lot of foot traffic in this area. This year the children seemed to really love the fountain and I managed to catch a few photos of them dangling their feet in the water. There was such joy and excitement in their mood. 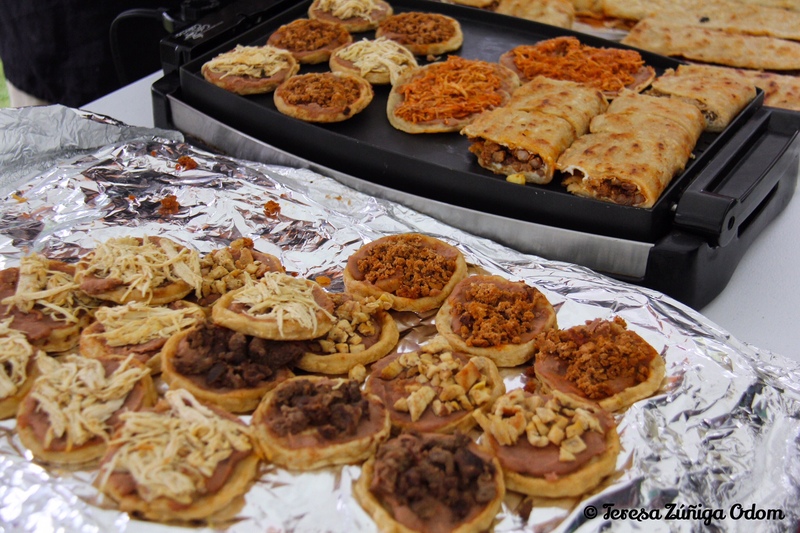 In fact, children and families always make Fiesta so perfect for me. I love searching for families enjoying different aspects of the event and photographing them. I’ve included a few of those photos in this post. Another favorite photo from 2013 was of the elderly gentleman at the Alabama Jazz Hall of Fame booth playing his saxophone. He was near the cultural village and I think I went by several times just to hear him. 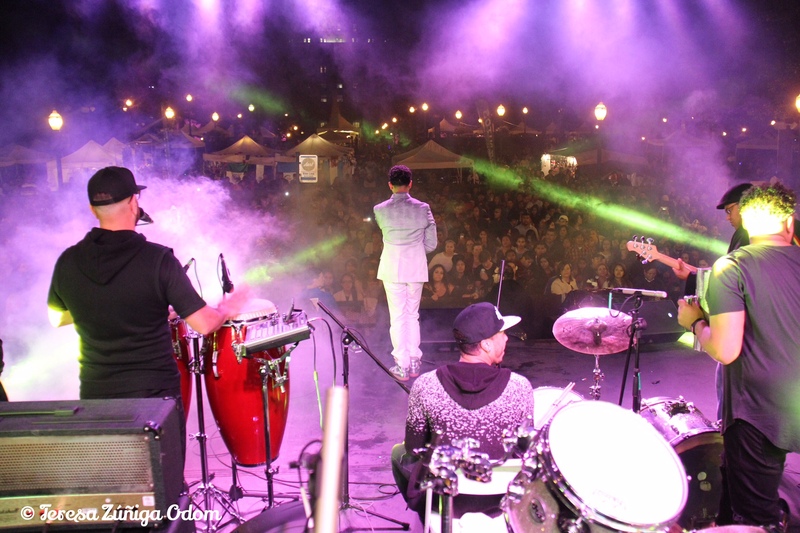 His music added a different dimension to Fiesta with his jazz sounds in the midst of all the Latin sounds! It all merged together quite well though and the crowd loved him! On the Coca Cola Main Stage, we had Henry Santos performing as the second to last act. This Dominican artist certainly had the ladies all a flutter during his performance! He invited one young lady to the stage to dance with him and it turned out to be a young woman I knew from The Hispanic Interest Coalition of Alabama (HICA)! She was up front and center waiting for his performance when I captured a photo of her. I was so happy that she got to go on stage with him during one of the songs. She was clearly loving it and so was the crowd! We’ve had several artists pull audience members on stage over the years. The crowd loves it and it carries the family feel of the festival through the night. More to come to please come back every other Friday through September 30, 2017, for more behind the scenes stories of Fiesta! Had to include this photo of me with my mother and two of her neighbors…mom is always at Fiesta if she is able and love every minute of it! 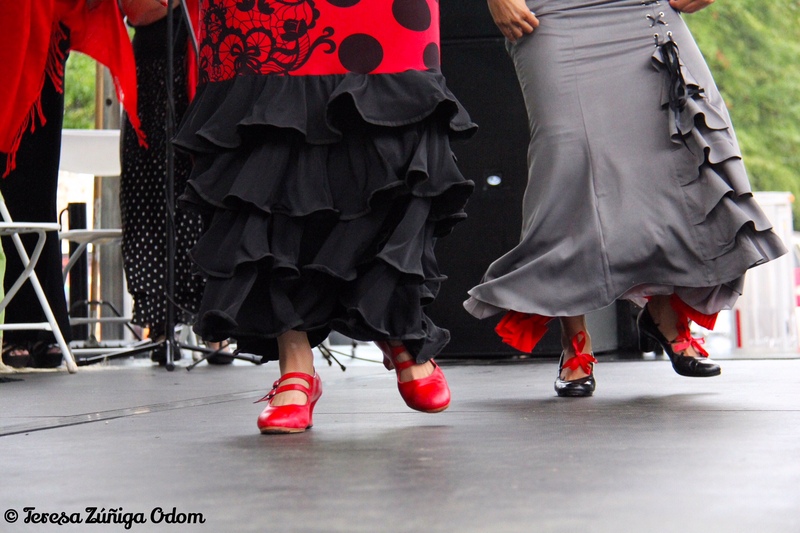 This entry was posted in Festival, Fiesta, Hispanic, Linn Park, Photography and tagged Alabama Jazz Hall of Fame, Fiesta Birmingham, Fiesta Fridays, Henry Santos, Matt Ennis, The Birmingham Pledge, Wade Black on September 8, 2017 by Southern Señora.